If you need Palm Harbor Homeowner’s Insurance, Coleman Insurance Agency can offer you valuable savings. Whether you are a new home buyer, looking for savings, or your policy has been taken out of Citizens with a company you have never heard of, Coleman Insurance agents will be happy to help you. With fourteen A-rated homeowner’s insurance companies writing policies for Palm Harbor, we can get you protection you can trust and that meets your needs without breaking your budget. We deal with companies that have names you know and offer protection you can trust. When bad things happen to good people, a quality homeowner policy provides you with protection and peace of mind. You are not able to predict when bad things will happen but you can protect your loved ones, home, and belongings. Do not leave your home and family vulnerable to accidents, crime, or severe weather. Coleman Insurance Agency provides quality homeowner’s insurance in Palm Harbor that lets you protect your home, belongings and loved ones at a cost you can afford. Most people do not realize they are under-insured until something bad happens and by then it is too late. When purchasing homeowner’s insurance in Palm Harbor, there are many factors you need to consider. 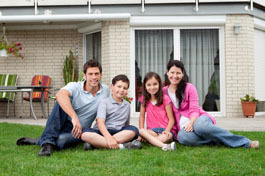 Allow one of our homeowner insurance specialists evaluate your needs and detect any problems. Our specialists will make sure you are never under-insured for the cost of your home while also identifying ways to save you money. Our friendly and knowledgeable specialists can help Palm Harbor residents get the essential protection the need for their home and family without breaking their budget. Contact us today to give yourself the peace of mind that your home and loves ones are protected at a cost you can afford. You can get your free evaluation and quote from one of our specialists with the method of your choice. Coleman Insurance Agency wants to assist you with getting the insurance you need when it is agreeable with your schedule. You can use our convenient user-friendly online quote request or give us a call to get the security and well-being you need at a price Palm Harbor residents can live with.